A report in the Washington Post has recently portrayed a depressing dystopian picture of China, where Big Brother monitors and controls every citizen via a rigorous social credit rating system. The Chinese government, as the report depicts, intends to amass tremendous data from the interactions of its people, rewarding those who obey the law and express pro-government sentiment, and punishing those who don't. According to the Washington Post, by the year 2020, every Chinese will have a social credit account. Their compliance and contribution will earn them extra points and their misdemeanors and offenses will cause them to lose points. The account will be closely associated with the citizens' access to financial institutions, public services, transportation and even schooling. The higher rating you get, the more privileges you can enjoy, and vice versa. Familiar? If you are a fan of Black Mirror, a popular British TV series, you will find the picture mirrors its first episode of the latest season, which features an app that combines Facebook, Instagram, Pinterest and whatever social media you can think of, taking over the world. Everyone can rate each other based on their interactions, giving them stars on a scale from one to five. Those who can have a higher rating, say 4.5, will gain access to a lot of privileges such as a discount on house rent. For those who drop too low, say below 3.0, they will become a sort of second-class citizens, shunned by friends and colleagues, shuttered out of office buildings and forced to pay premiums for public services. In line with its consistent skepticism toward technologies and social media, this episode of Black Mirror has pushed the paranoia to its extreme. The Washington Post report stems from a document recently issued by the Chinese government that aims to accelerate "the construction of credit supervision, warning and penalty mechanisms for persons subject to enforcement for trust-breaking." But the vivid picture the report painted has immediately evoked people's association with the sci-fi series. Moreover, due to Western media's perennial doubts about countries governed by different ideologies, the report has insinuated a lot of Orwellian colors, exposing a least possible scenario: China is stepping up its authoritarian rule. The document has specified a myriad of penalties that might incur to people who are deemed "untrustworthy," which gives Western media a lot of space to read between lines. Due to its lack of a nationwide and effective system to evaluate credit risks, China loses more than 600 billion yuan ($88.58 billion) each year. The country's foray into the field by introducing harsh penalties to uproot credit-related problems is an assertive move for the common good. China is committed to building a credit system, which is inevitable for a country so determined to build a sustainable and dynamic market-oriented economy. A well-functioning credit system is what a mature economy needs, such as the US's FICO credit score system. But how did the economically beneficial system get a warped interpretation in Western media that it will be used for moral and political purposes? So far there are no details about how far the credit system can reach. Any assumptive accusations are simply groundless. But these doubts and worries can serve as warnings to the Chinese authorities when they specify the system. In 2010, an experimental social credit system made a flash in the pan in Suining, a county in Jiangsu Province. It was a highly disputed project, introducing a point system and ranking every citizen on a scale from A to D, with A the best, and D the worst, based on their everyday social behaviors. The most controversial part is that it included people's political positions, which have nothing to do with credit. For example, people who "illegally petitioned higher authorities for help" would be deprived of some points and may be judged as "bad citizens." The system, upon its implementation, met with public backlash, and had to be revised. This policy failure should serve as a lesson for the upcoming national credit system. The range of the system must be meticulously restricted, and it should only stay effective in people's economic life and part of their social life where laws and principles are clearly defined and widely recognized. 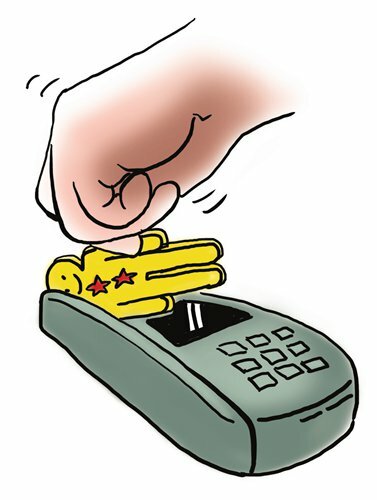 China has trodden the right path to set up a credit system. But it needs more wisdom to do it well at low political and social risks.